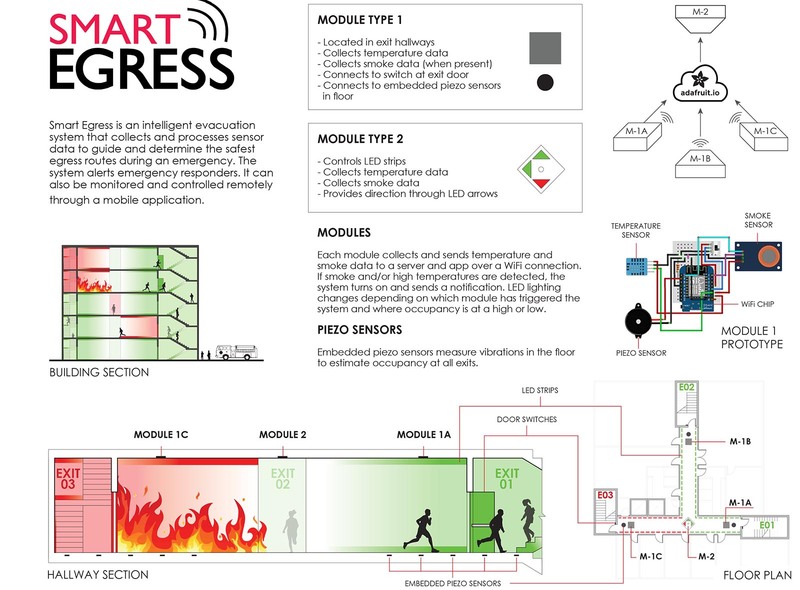 The Smart Egress project facilitates building occupant evacuation during emergencies. It integrates distributed sensing and traffic/occupancy monitoring with the adaptive signage and wayfinding. It uses a customizable web-based dashboard to monitor activities and for direct controls as well as Android mobile app. 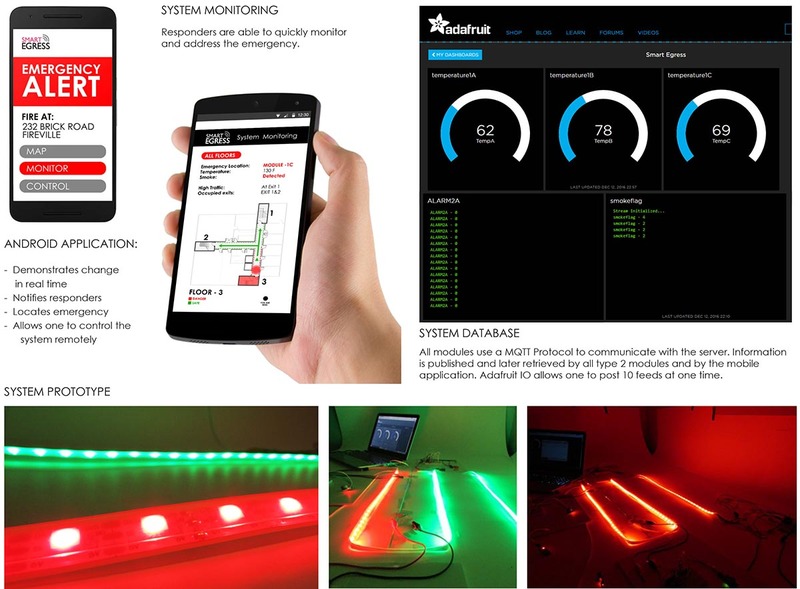 The project was developed by Dan Beltrant (Architecture) and Robert Lockatell (Industrial Design), NJIT’16 for the “Designing for Smart Futures” course. Instructor: Andrzej Zarzycki, NJIT. 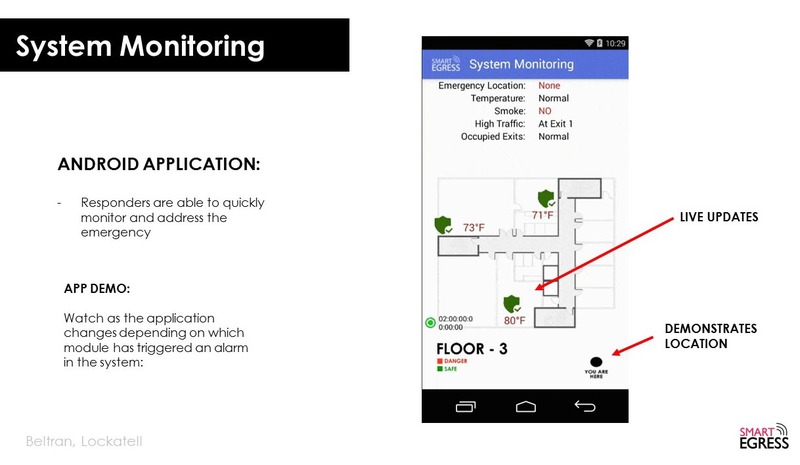 Android app prototype allows for real time monitoring of temperature/heat and direct emergency egress. See video below.